We will kill weeds, lay out landscape fabric and then add mulch. Tired of walking in the dirt? 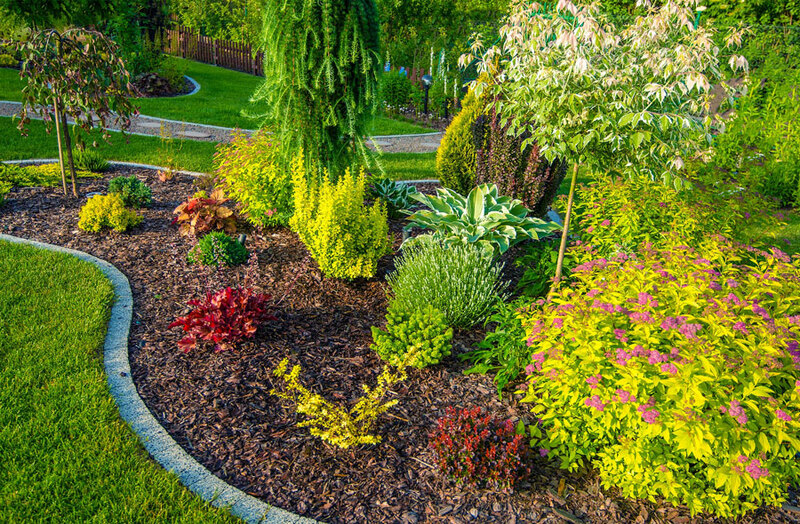 Add mulch to your garden area work and walk around all you want. No need to mow the grass in tight spaces. Mulch is the best solution for your garden area. One other reason we apply mulch is to control and kill weeds. 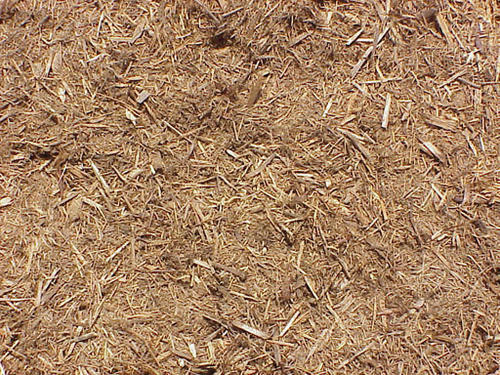 A 1- to 2-inch layer of fine mulch should be sufficient, while a coarser material should be 3 to 4 inches deep. Too much of either type can suffocate your plants. In areas where you simply want to keep anything from growing, you can lay it on as thick as you like. Coverage will vary greatly based on what type of mulch you use and how deep it is. Mulch that's too deep will stimulate root growth in the mulch layer rather than in the ground. The resulting shallow root system is susceptible to cold and drought damage. 1 Garden 16 bags, 2 gardens 24 bags, 3 gardens 36 Bags.... 48 and 96 are for larger projects. If you like the smell of chocolate this is the mulch for you! 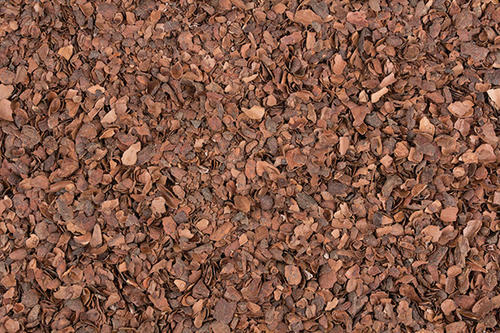 This Cocoa Shell Mulch is derived from the shell of the cocoa bean. It is dark brown in color and very lightweight. It is a very good conditioner for your soil. It should be applied much thinner than most mulches. 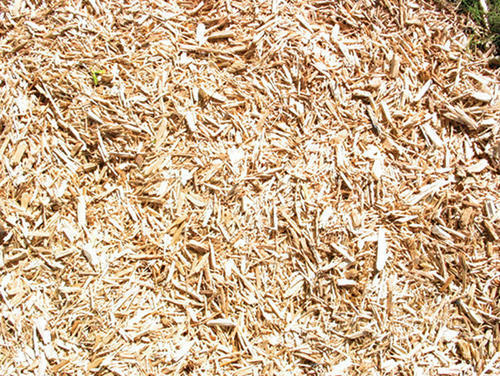 Wood Ecology Premium mulch is made from freshly ground wood and is colored and bagged in a controlled indoor environment. We add twice as much colorant to this premium mulch compared to standard mulch to give it a vibrant color that lasts the entire season! 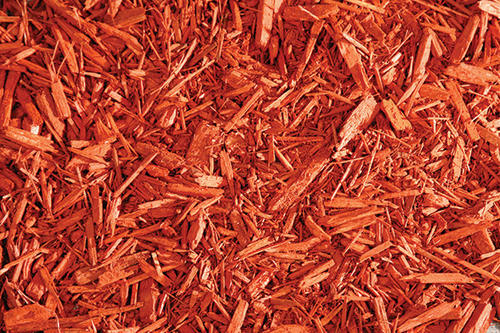 Color-enhanced mulch is an ideal way to add vibrant color to your landscape project. This Premium Ruby Red Mulch from Wood Ecology's® has a rich, warm color that will enhance your lawn or garden. This Best Wood Mulch from Wood Ecology's® is a great element to add to your landscape project. 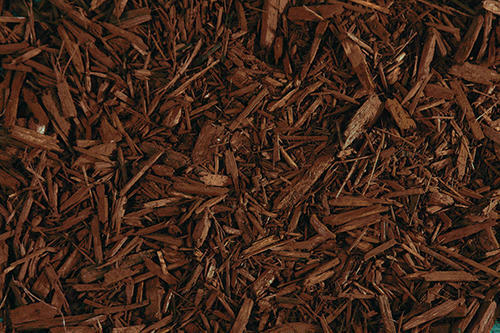 This mulch is also great for retaining moisture for flower beds, plants, shrubs and trees. Made from freshly ground wood and is colored and bagged in a controlled indoor environment. We add twice as much colorant to this premium mulch compared to standard mulch to give it a vibrant color that lasts the entire season! Wood mulch is an excellent way to dress up your landscape while improving your yard. Natural wood composition controls weed growth, has excellent moisture retention properties and keeps a more even ground temperature to protect tender plants and roots.